﻿ Chicago Hispanic Newspaper, Lawndale News, Hispanic Bilingual Newspapers, Su Noticiero Bilingue » ¿Necesita un Pasaporte? April 23, 2019 9:44 am You are here:Home Local News ¿Necesita un Pasaporte? 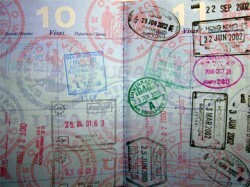 Posted by Editor on October 25, 2012 in Local News | Comments Off on ¿Necesita un Pasaporte? Cardiss Collins Postal Store, 433 W. Harrison 60607, sábado, de 8 a.m. a 6 p.m.
César Chávez Station, 1859 S. Ashland 60608, sábado, de 10 a.m. a 2 p.m.
Sucursal Cicero, 2430 S. Laramie 60804, sábado, de 10 a.m. a 1:45 p.m.
Grand Crossing Postal Store, 7748 S. Cottage Grove 60619, sábado: de 9 a.m. a 1:30 p.m.
Sucursal Harwood Heights, 7101 W. Gunnison St., 60656, sábado, de 10 a.m. a 2 p.m.
Irving Park Station, 3319 N. Cicero 60641, sábado, de 10 a.m. a 2 p.m.
John J. Buchanan Station, 9308 S. So.Chicago 60617, sábado, de 10 a.m. a 2 p.m.
Morgan Park Station, 1805 W. Monterey 60643, sábado, de 10 a.m. a 2 p.m.
Sucursal Niles, 6977 w. Oakton 60714, sábado, de 8:30 a.m. a 1:30 p.m.
Norwood Park Station, 6300 W. NW Highway 60631, sábado, de 10 a.m. a 2 p.m.
Roberto Clemente Station, 2339 N. California 60647, sábado, de 10 a.m. a 2 p.m.